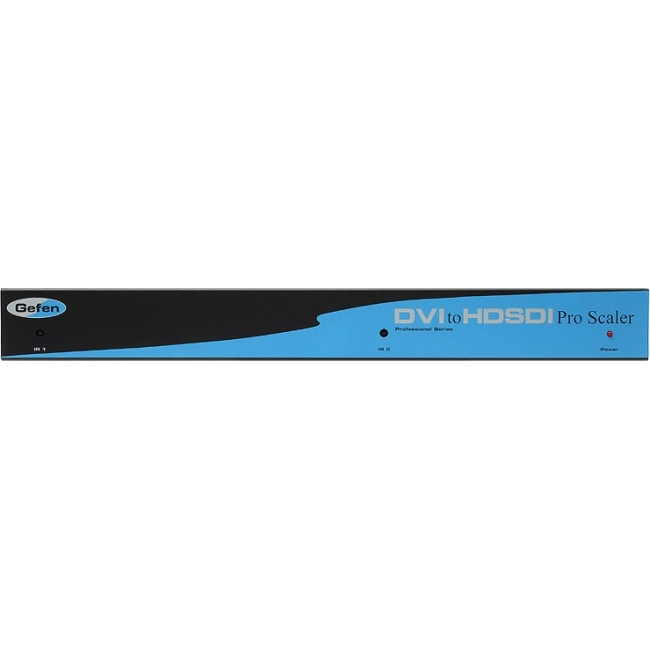 The Gefen DVI to HDSDI Pro Scaler combines two of our DVI to HDSDI Scaler Plus units into one rack-mountable unit. It still incorporates full single-link DVI-D conversion scaled to your choice of SD/HDSDI Single- or Dual-link modes, but now simplifies your rack. Resolutions of up to 1080p are supported over the HDSDI link for those that want true "High Definition." Performance has been greatly enhanced due to Gennum's VXP Scaler circuitry onboard, allowing for new features such as Genlock, Color & Gamma Correction, Noise Reduction, Detail Enhancement, Aspect Ratio Selection, Pattern Generator Mode, and Multiple Language Menu Support. Bottom Line? More performance, less cost.